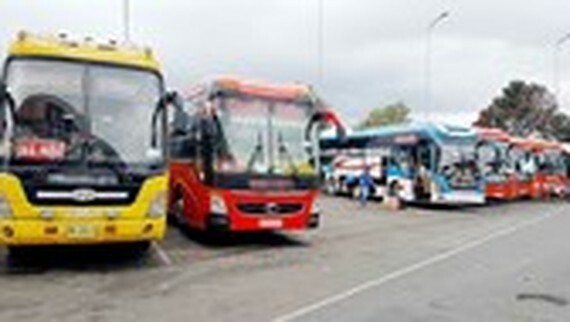 Some 1,200 workers in the southern provinces of Dong Nai and Binh Duong will be given bus fares, said the General Federation of Labor has announced. The Federation said that it has worked with MobiFone and the Vietnam Railway Company to present bus fares to workers in the two provinces, whose families live in the central province of Nghe An, the northern province of Thanh Hoa and Hanoi. Accordingly, 1,200 poor workers who have not returned home for years will enjoy gratis fares. 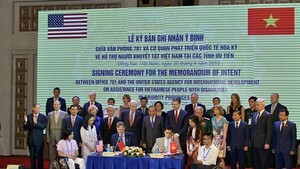 Additionally, the Federation also announced the plan to take care of youth communist members and laborers in the country on the occasion of Tet holiday (the Lunar New Year). Moreover, it will call for social contribution and local governments to organize activities for laborers’ benefits especially those who suffer work accident, occupational diseases, top welfare beneficiaries on the special occasion.